Police are warning people across Chronicle Country to take extra precautions after a series of burglaries across Meppershall and Arlesey. Two properties in Shefford Road, Meppershall, were broken into during the afternoon of Tuesday, January 20 between 2pm and 6pm. In both instances a window at the rear of the property was forced and a messy search carried out. The burglars took mostly jewellery and cash from the properties, leaving behind valuables including iPads and car keys. 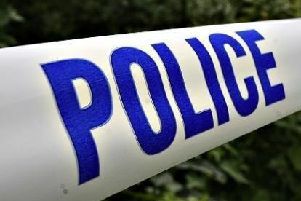 In Arlesey the burglaries took place in Lynton Avenue between 8.45am and 5.30pm on Thursday, January 22. In these cases only jewellery was taken while electrical goods were ignored. The jewellery stolen includes one engagement ring, one wedding ring, one eternity ring and cash. In the second burglary in Meppershall, the offender was disturbed by the occupants returning home and he left through the rear of the property running past the occupant before getting into a vehicle. He drove off towards the High Street, almost colliding with another car while pulling away. The suspect is described as a white man, 5’8’’ to six foot, in his mid-20s, with dark hair, wearing an ‘old-fashioned’ donkey jacket with the collar turned down, dark trousers, and a beanie hat. The vehicle is described as a light-coloured car (silver or gold) possibly a Ford Mondeo Estate. Anyone with information relating to this incident can contact DC Matt Inwood, in confidence, at Bedfordshire Police on 101, or text information to 07786 200011. Police are urging people to do a range of things to help reduce the number of burglaries this winter. They are advising residents leave lights or the radio on so it looks and sounds like someone is at home as well as locking all windows. Burglar alarms should also be made visible in order to make burglars think twice and keys should not be hid under a doormat or in a flowerpot.